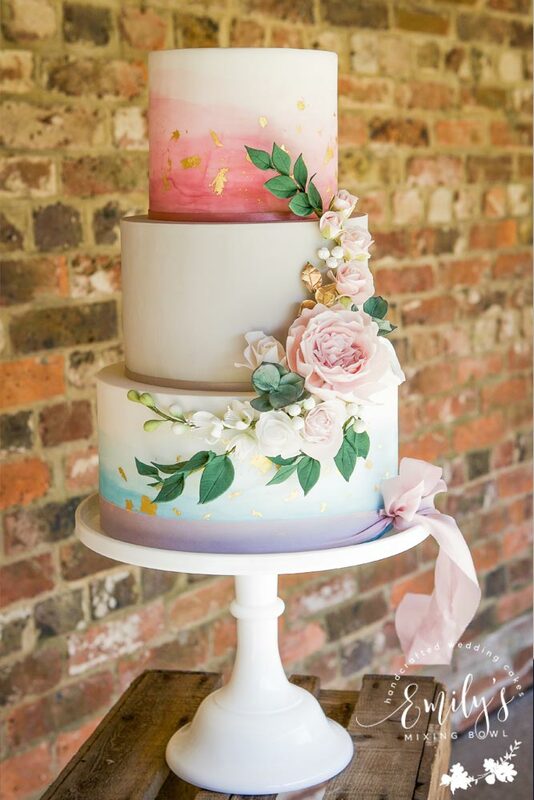 Daniel & Chloe married at East Sussex National Golf Club and chose this 5 tier design inspired by a photo they had seen on Pintrest. 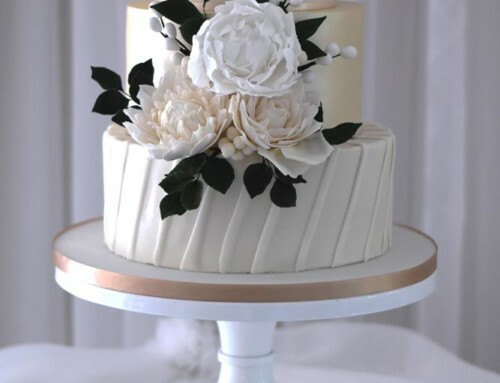 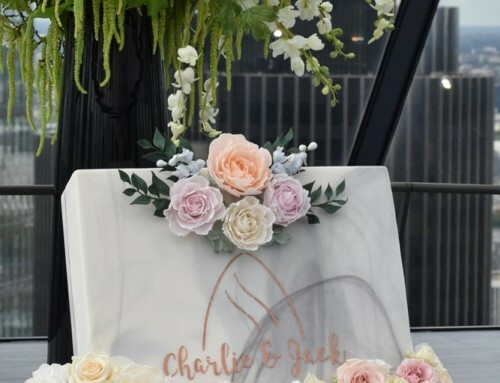 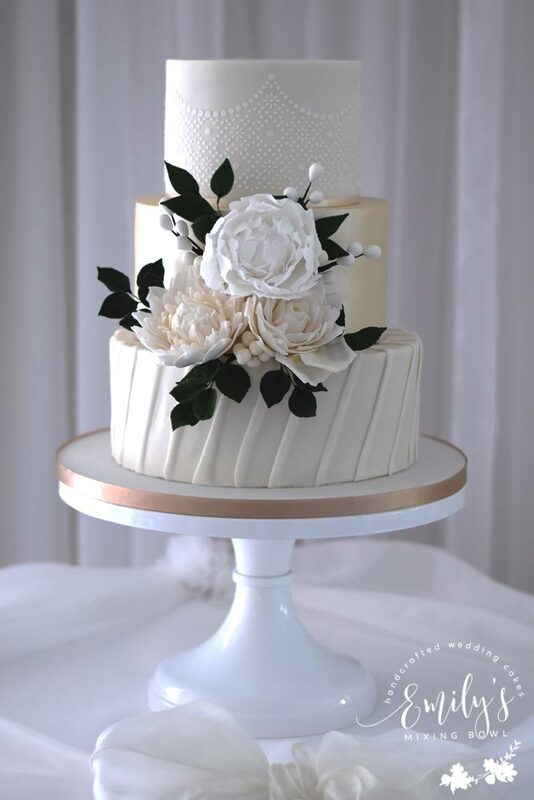 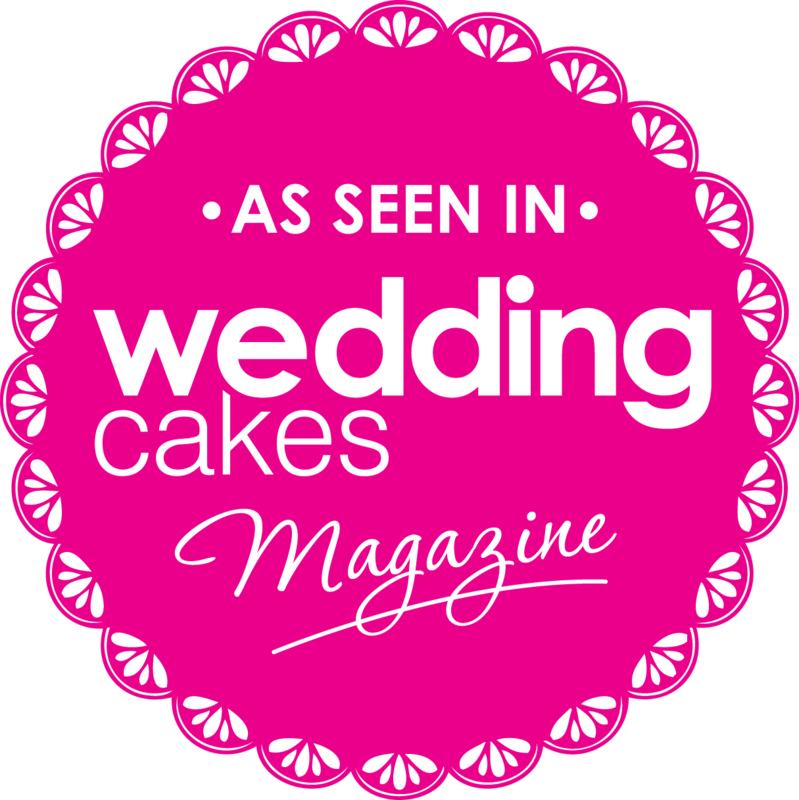 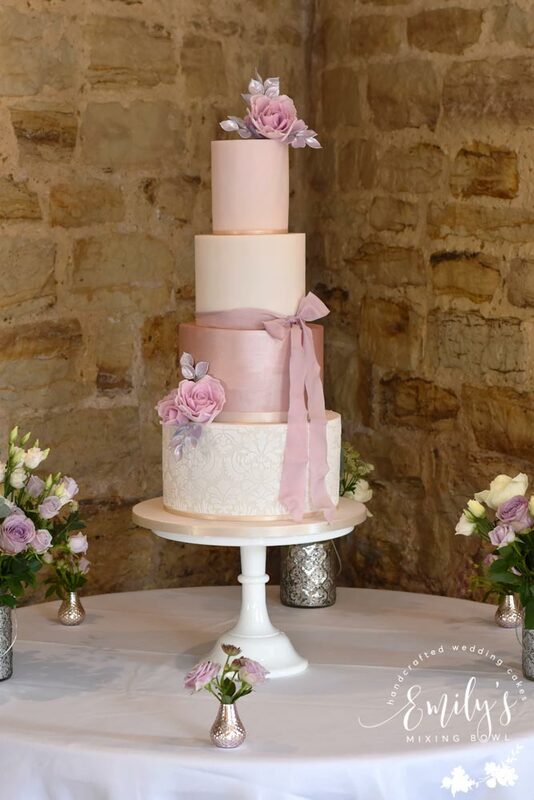 They only had 100 guests so asked that the bottom tier was a dummy in order to have less real cake which can be a great option if you want that wow factor without the portions. 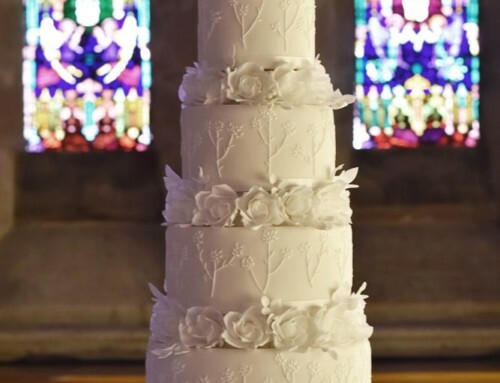 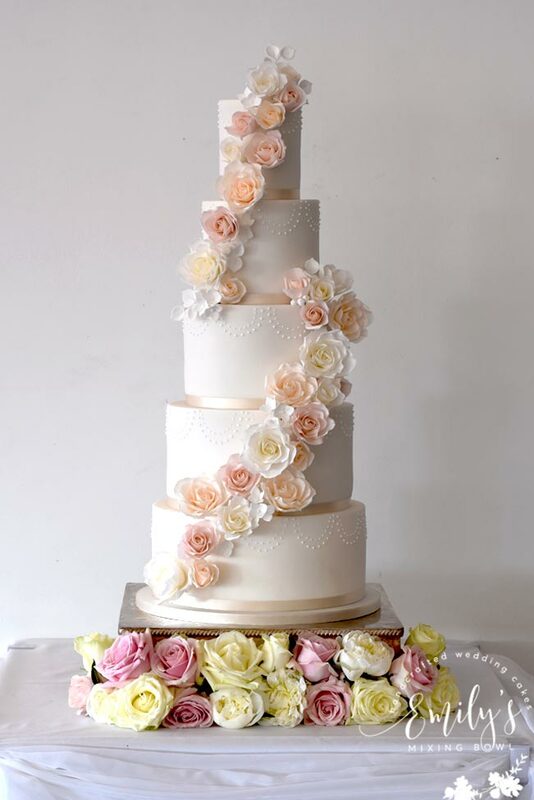 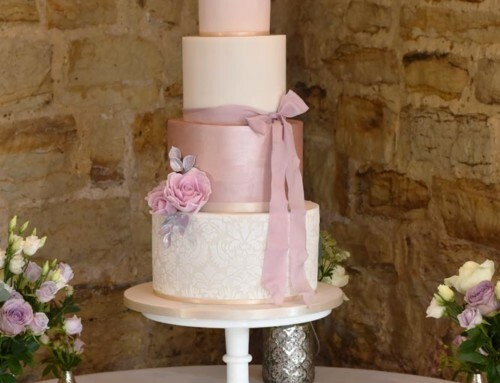 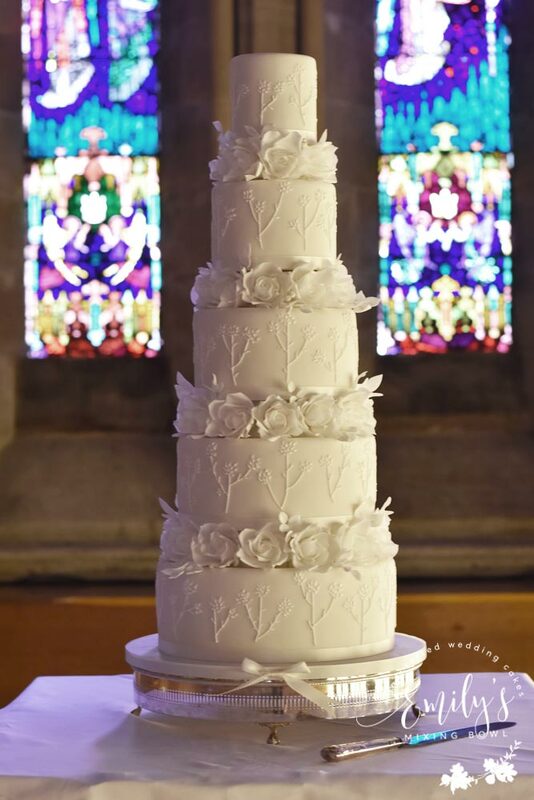 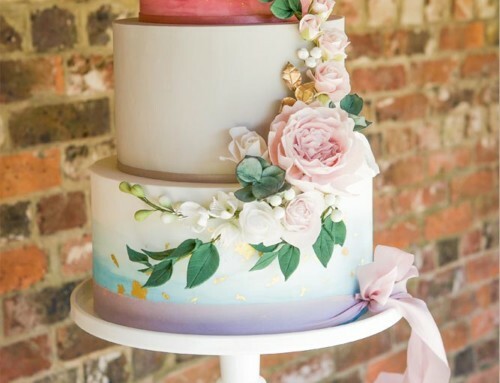 The 5 tier cake had hand piped swags on each tier and was finished with a cascade of soft peach, pink and cream sugar roses. 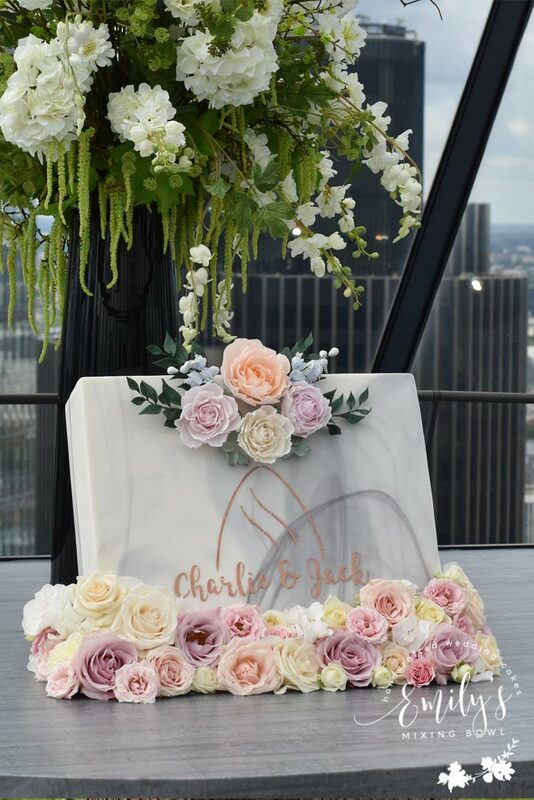 Ladybird Flowers florist then came and finished the display off with fresh roses around the bottom of the cake stand.